In early 2015 I had breakfast with California Secretary of State Alex Padilla. I had been speaking with a number of friends who had been trying to convince Padilla to run for Senator Barber Boxer's seat. Senator Boxer had announced her decision to retire, and Padilla was clearly a good candidate for the job. I have known Padilla since he began his career in politics and have been consistently impressed by his demeanor, character, and brain. Padilla is a graduate of the Massachusetts Institute of Technology (MIT) and is the class of engineer that looks for solutions instead of one that only identifies obstacles. My estimation of him has grown throughout the years as he has moved elegantly from Los Angeles City Council to State Senate to his current post as Secretary of State for the fifth largest economy in the world. We met at a diner in northeast Los Angeles known for political breakfasts and I told Padilla that I believed that he should run for U.S. Senate. I even said that his talent was being wasted on the office that he had recently won and currently holds. Padilla pushed back in his signature respectful but very firm tone and explained to me that he had made a promise to voters to hold the office of Secretary of State and he was bound by his word. Secretary Padilla then went on to describe, in a wonky level of detail that only schooling at MIT could forge, his precise plan to increase voter participation, fight voter suppression, and modernize the office of Secretary of State. I told him I was disappointed at his refusal to run. He said in very polite terms that I would change my mind as time went on and quite frankly and thankfully he was right, and I was wrong. Padilla has largely been one of the great unsung heroes of the 2018 election. While maintaining a necessary distance from partisanship Padilla engineered a system that now allows voters to participate at record numbers, gives activists from all parties tools to mobilize voters until the very last electoral moment, and created systems to verify and protect the ballot count. The numbers prove his success as California just enjoyed the best voter participation in a midterm election in 30 years. In essence, Padilla engineered a machine that has inclusion as it's primary purpose and moved California into becoming a worldwide example of democratic success. A badge of honor now held by Padilla is that Speaker Ryan has said that the California system "defies logic". While Speaker Ryan may be bewildered by the logic behind opening the doors to all eligible voters what the rest of us understand is that in California the era of politicians picking their voters is over and the era of voters choosing their politicians has moved another giant step forward. As the year ends and the election dust settles there are many who must get credit for the increase in 2018's massive level of voter engagement. I will be highlighting a few over the next couple of weeks. I thought it important to start with Padilla who created the playing field that everyone was able to play on and while doing so has set a template for other states to follow. 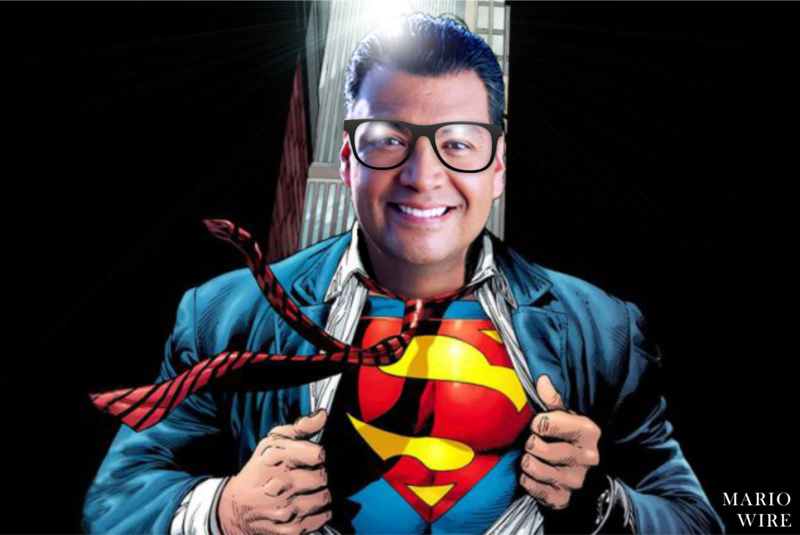 Therefore let me offer that due for his ability to avoid the kryptonite of political expediency, the strength to bend the steel of entrenched bureaucracy, the vision to see through the walls of voter suppression and the tenacity to create new systems faster than a speeding bullet Alex Padilla is this election's Superman.